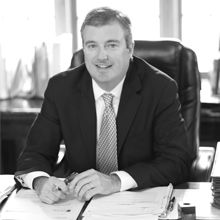 Dan Fowler has spent his entire legal career handling trial court matters in the mid-Ohio Valley Region. He believes it is important to have an experienced trial court attorney if you have been injured in a car accident, and that it is just as important for an attorney to give personal attention to your case from start to finish. Over the last decade, he has been the lead attorney on thousands of courtroom matters, yet each case was handled with individual attention to his client. Mr. Daniel Fowler has served on the West Virginia State Bar Board of Governors for three years and also was appointed a Hearing Panel member on the West Virginia Lawyer Disciplinary Board, of which he also served three years. He also has served as a board member of Adventure Pursuit, Inc., where their mission is to help physically and mentally challenged individuals in the pursuit of adventure sports and activities. When you need the help of an attorney, contact Dunbar & Fowler PLLC at 304-863-8430 or contact the firm online to arrange for a free consultation.